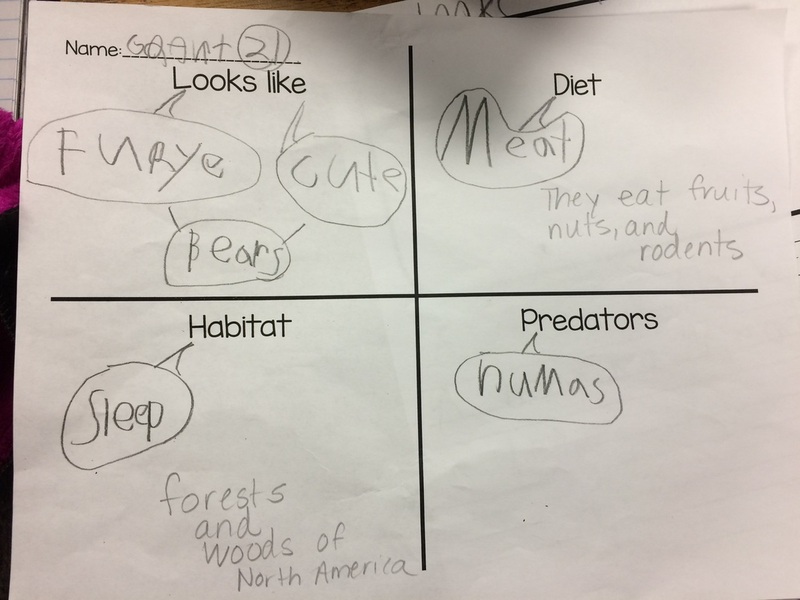 Forest Trail First Graders know their animals. In January, the students in Shannon Harvey's, Sophie Goralski's, Jordan Dunagan's, and Mallory Brightwell's classes engaged in an animal research project that included web research, summarizing, diagramming, keynote creating, QR code reading, and project sharing. 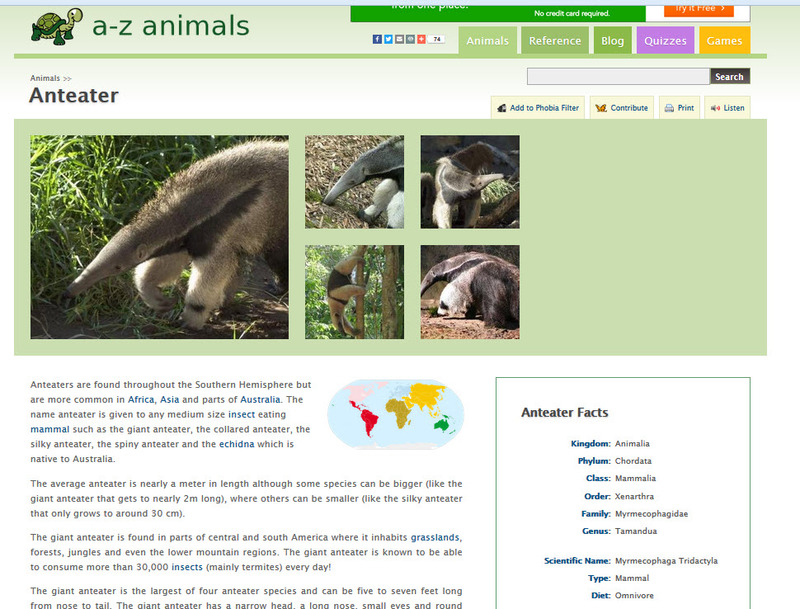 Students began with a mind map for the animal of their choice, which contained 4 main ideas. 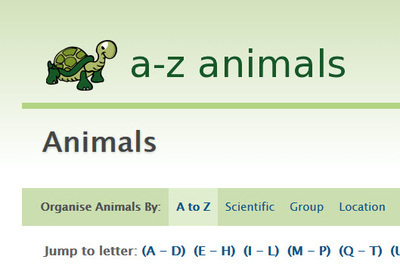 They used a great site: A to Z Index of Animals to gather information about each main idea. 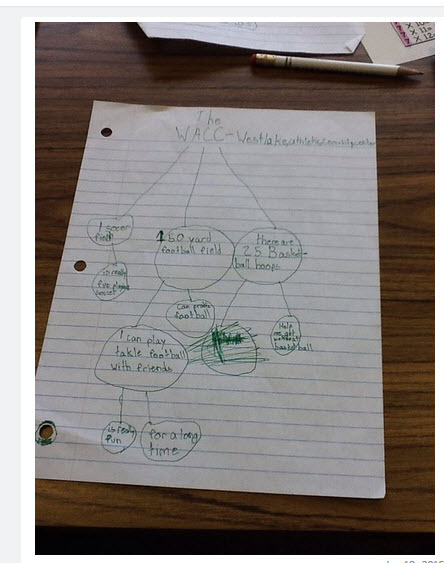 They drew a picture and wrote a paragraph about each topic on their mind map. 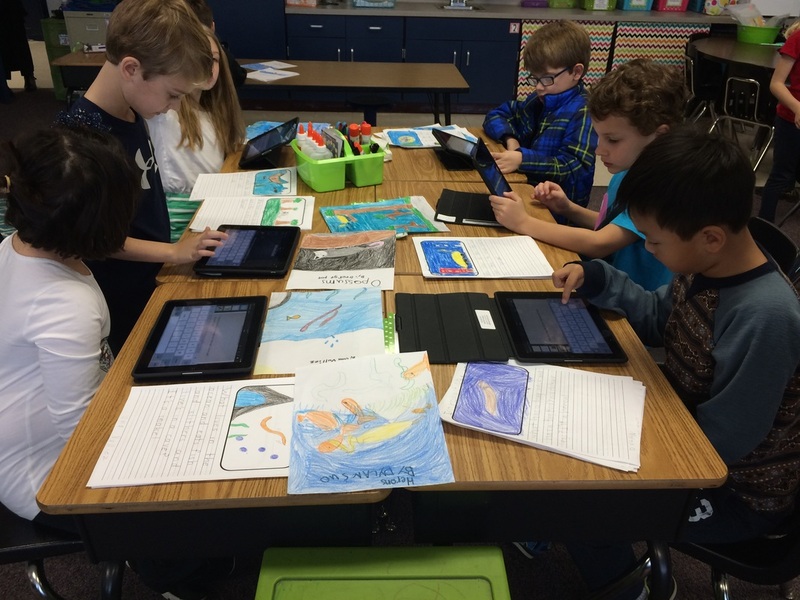 Using the research sites on their iPads, they created diagrams, book pages and book covers for their animal research. Finally, when they had all of their facts, diagrams and drawings completed, they were ready to build their Keynote presentations. 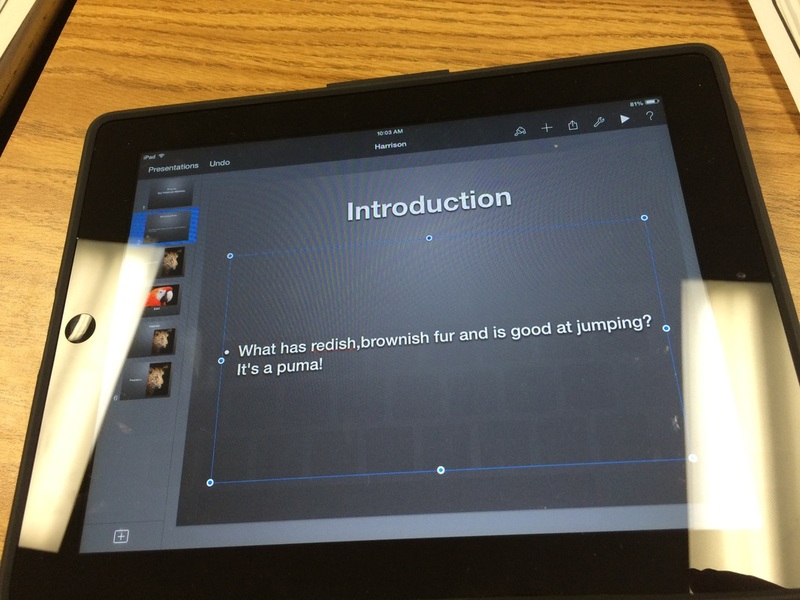 These 1st graders had no problems with text boxes, fonts, graphics, and slide organization in Keynote! 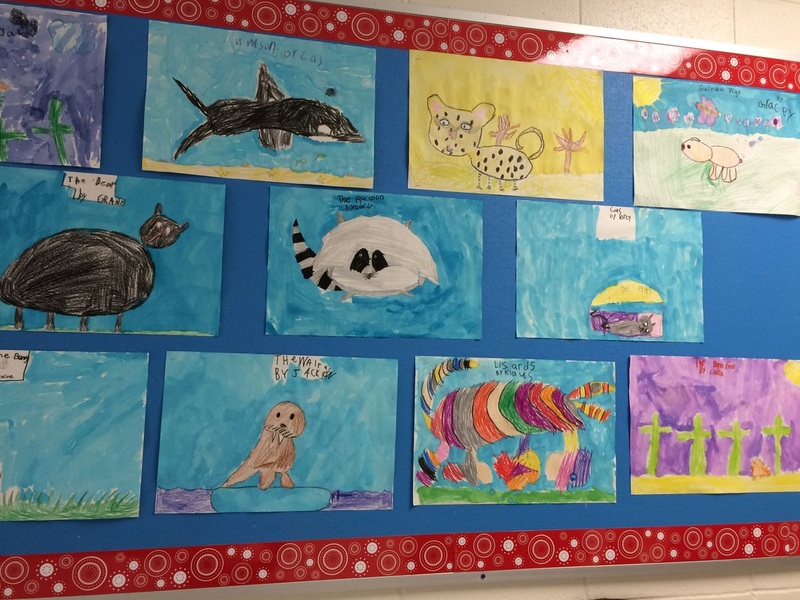 Student drawings of their animals were created in different media and displayed in the hall. Mrs. Brightwell added QR codes to her student drawings, enabling parents, staff and students to view the keynote they created about their research. 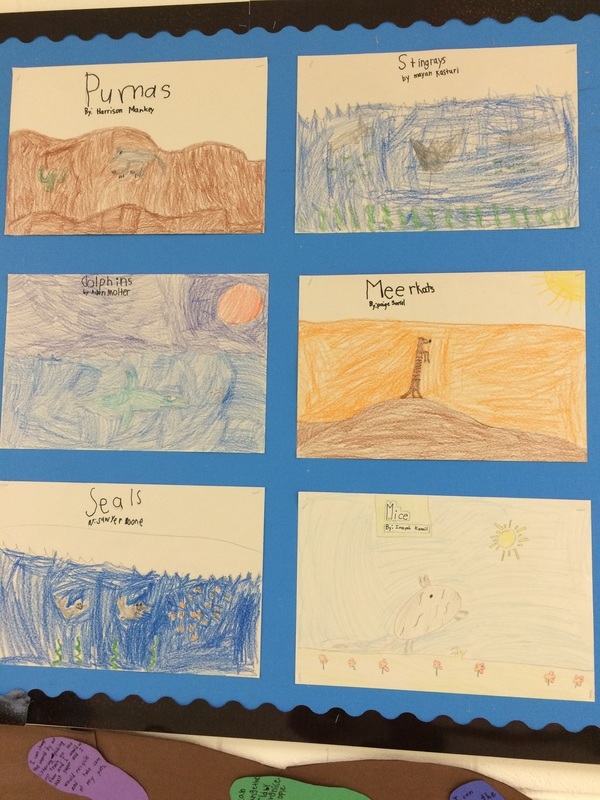 5th Graders in Mrs. Harrell's and Mrs. Dunning's Art classes have been studying architectural detail. The brightly colored building facades and the whimsical play on words in the business names are a wonderful display of student creativity. Check them out in the slide show below. 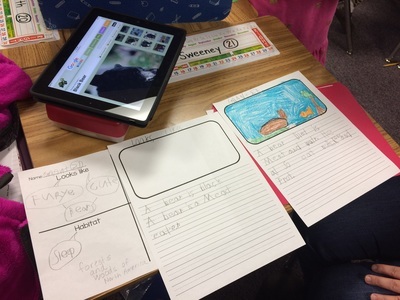 Tizoc Garcia, 4th grade teacher at Forest Trail has created a learning environment that promotes student success by encouraging students to discover their most effective learning modes, and by using a variety of tools, some digital, some not. 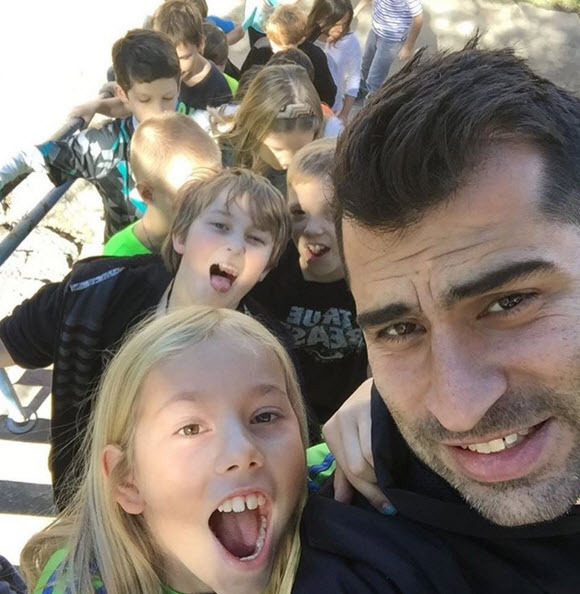 What follows are the responses to an email interview with Mr. Garcia, in which I asked him to share his beliefs, practices, and tips about creating a positive, successful learning environment. 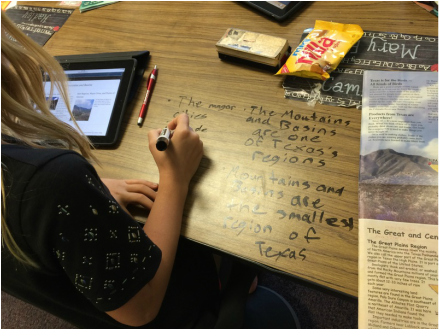 I integrate technology into my classroom with some student choice and through programs we find a use for. 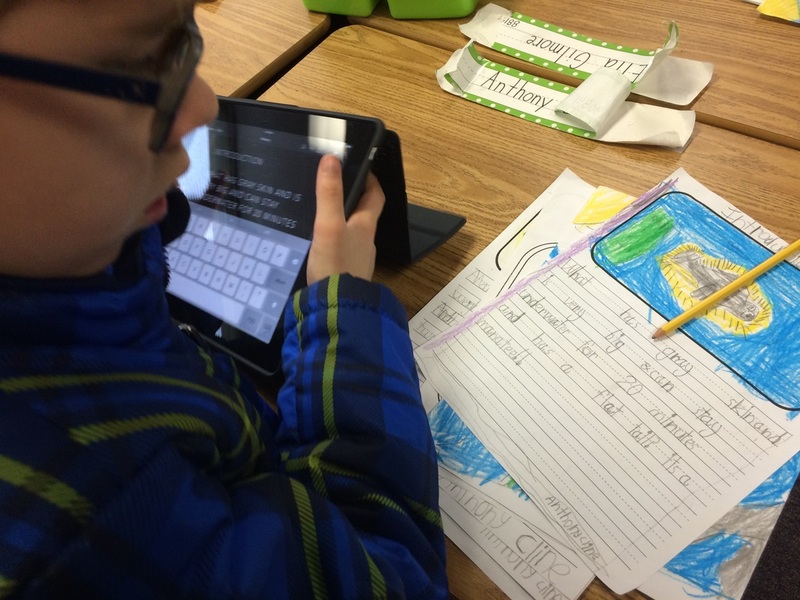 I give students the opportunity to come to me with app they think might be helpful to the learning process. I usually let them pilot the app and decide for themselves if it is useful to the classroom and will benefit other students. Most of the time the students come back and say "Hey Mr. Garcia, this app isn't a learning app." 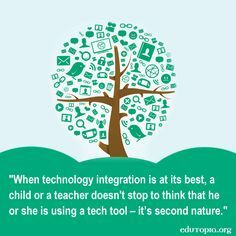 I think the way I integrate technology works because of the freedom, the exploration, and the discussion. The kids love using the Macbooks, but they don't work for everyone. Some kids love the ipads and others enjoy the computer lab. The kids have talked and come up with their own conclusions about what works best for them and to me, I think that collaboration is exactly what the job setting is all about. ​At times, I decide for the students what we will using in terms of technology equipment. 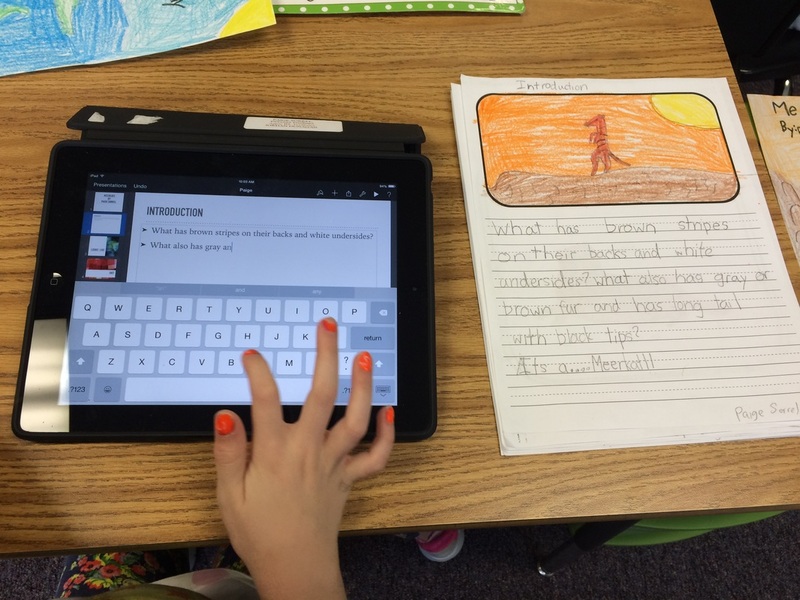 The students decide for themselves what app will work best or what process will work best. 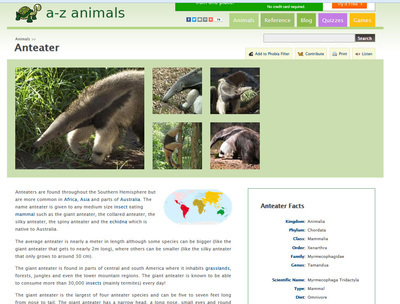 Each student has their own Weebly website and they choose where they prefer to do their weekly posts from. Most enjoy the ease of the macbooks because they can sign into their novell and gain access to their personal settings and saved ideas. Others actually prefer the Ipad because they are used to it. ALL of the students help each other though, which I think is the best benefit of all. 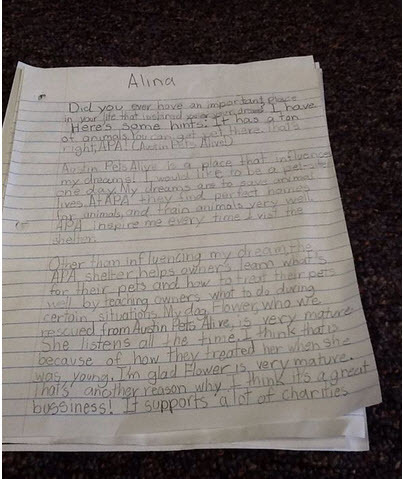 For our current writing piece, the kids want to type the paper they are working on. So first we will use paper and pencil and work through our writing in a more traditional way, then we will type in a way the kids enjoy. We have used google docs to type up things. 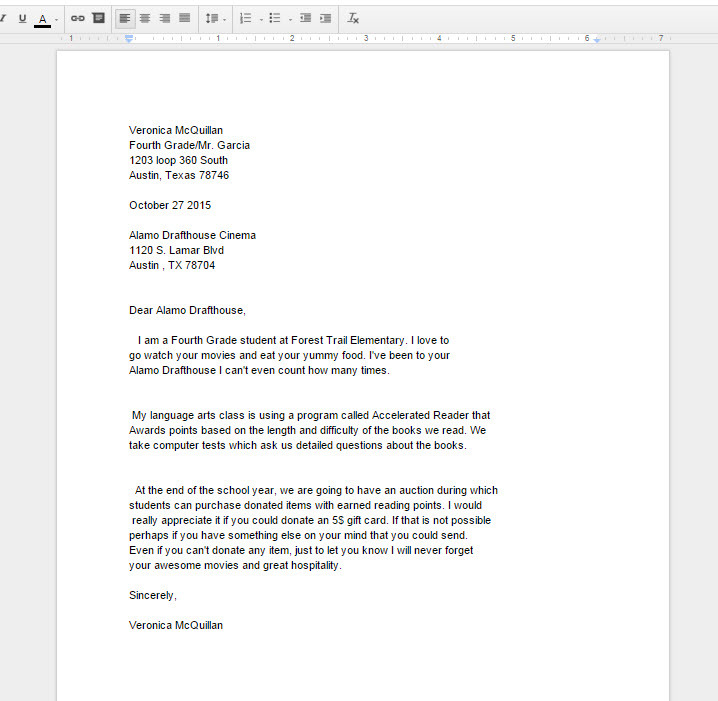 Students work on AR letters on google docs so they can share to me to print. 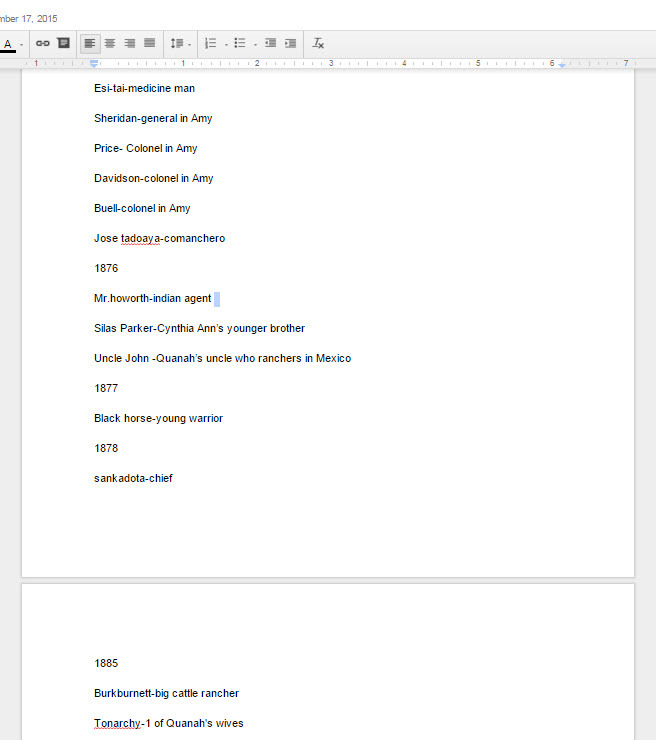 We also used google docs to keep a character timeline instead of paper because we wanted to keep updating it and also have it easily accessible. ​My tips are to be flexible as usual. I mean really we are teachers and constantly need to be flexible so just keep with it. In a time when we are trying to squeeze in so much information, it's ok to just explore some apps together and talk about what works and doesn't. Patience is the other piece of advice I would give. Don't get overwhelmed with an app. 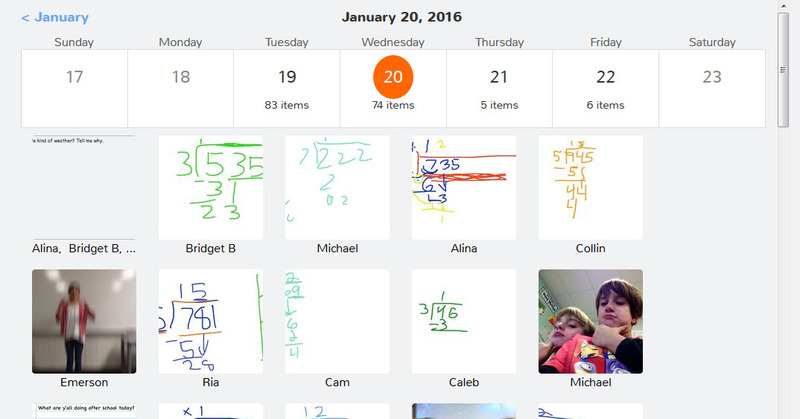 Let a student try it out for you and get back to you on it's value for the rest of the students. Have freedom of choice and the kids will surprise you with what they choose and the product that comes out of that choice. I promise that it gets easier the more you stick through it. 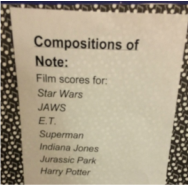 Forest Trail fifth-graders who saw the Star Wars movie over the holidays had a deeper understanding of the soundtrack than most other children. This is because they have studied composer John Williams in depth as part of the American Composer Studies that Forest Trail music teachers Angela Woodbridge and Lindsay Creel have been doing with them. The study of Composer John Williams captured their interest because he composed the music for many well known movies including Harry Potter, Jurassic Park, and Indiana Jones, in addition to the Star Wars collection. 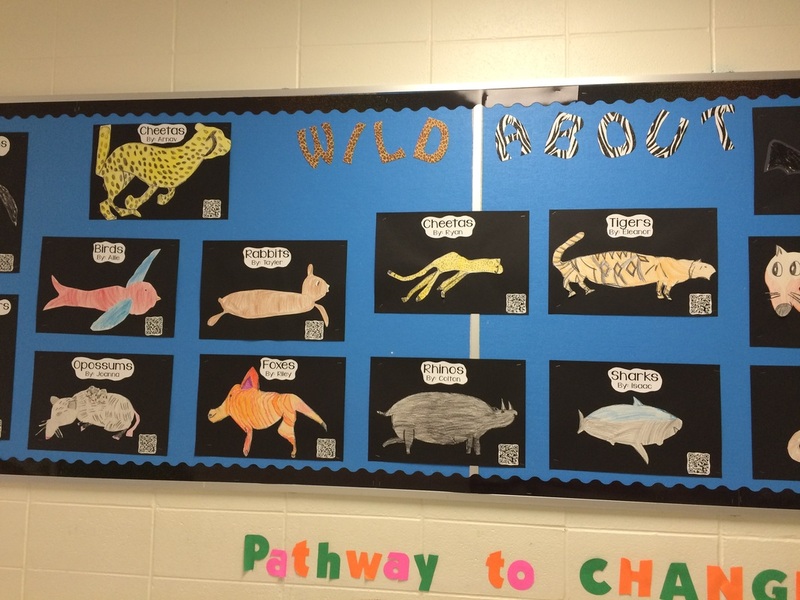 As an engaging way to learn about John Williams, Mrs. Creel created a ThingLink with various links to information and interactive websites about him for students to explore. There was a Google doc for assessment on one of the links for them for them to fill out after exploring. Mrs. Woodbridge created a Kahoot game for a fun way to review student learning about composer John Williams. Not only did students enjoyed playing this game, but they matched their wits against me and visitors to the district for our ILeap Academy. Needless to say, we were NOT smarter than a 5th grader! 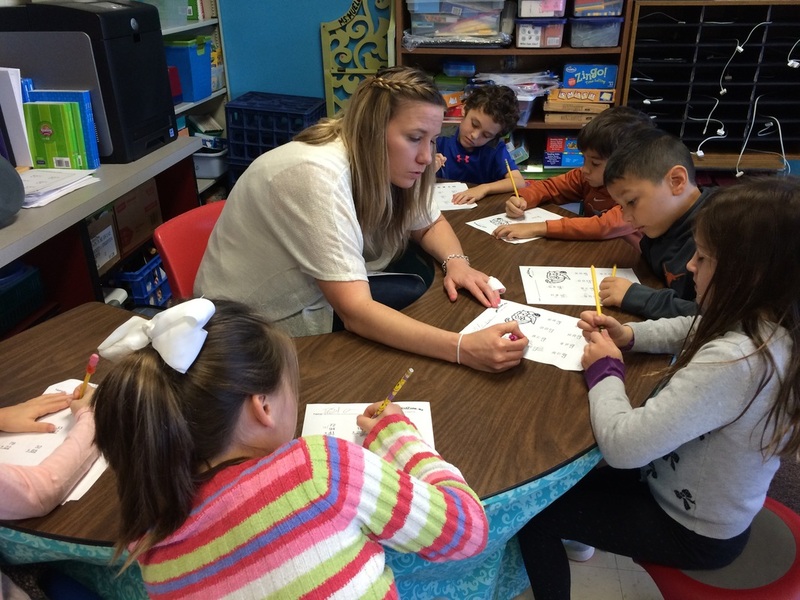 Jennifer Mueller, 2nd Grade Teacher at Forest Trail Elementary knows that students are more engaged and have more success learning if they are moving. 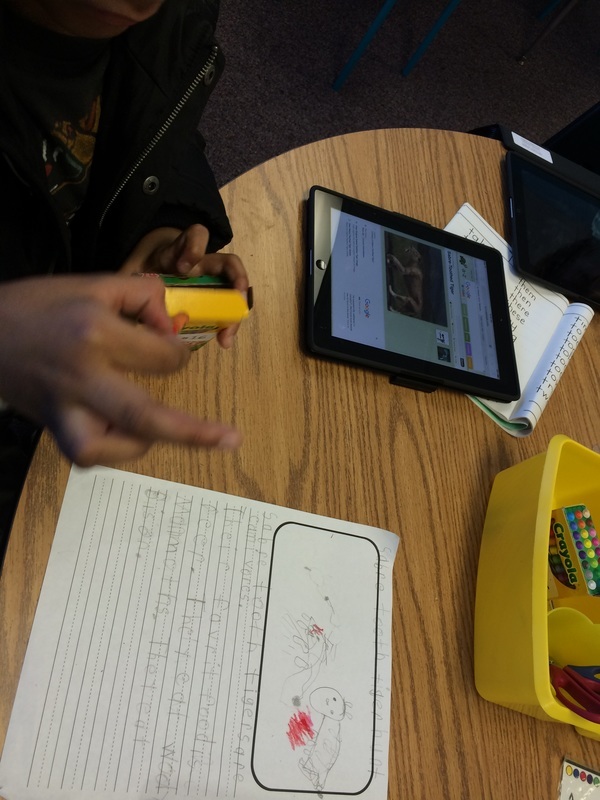 She uses stations and QR code activities to keep math and science interesting. Recently, her students were using QR codes on scavenger hunts to practice 2 digit addition. In addition to her teaching station, other stations for math included strategy folder games for math skills practice that she has made, and iPad Math skills work with apps like Xtra math and IXL Math. 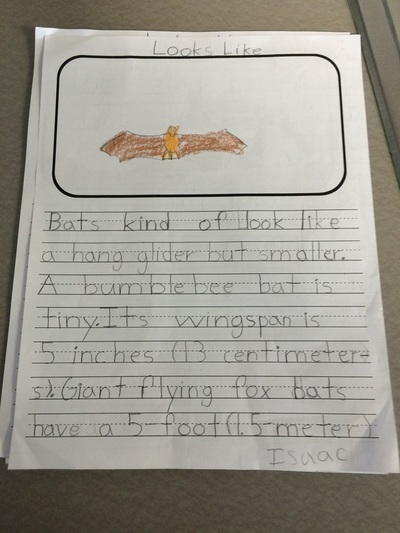 Research and Writing are fun when they are about creepy, crawly creatures. Not getting lost in the World Wide Web and finding appropriate information is easy with QR codes. 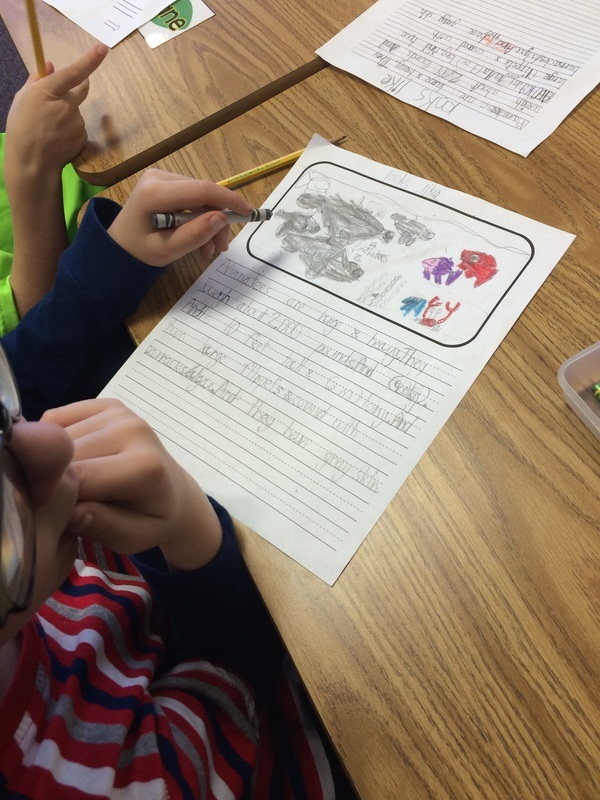 Creating a Pic Collage about your creepy, crawly creature makes thinking visible and easy to share. 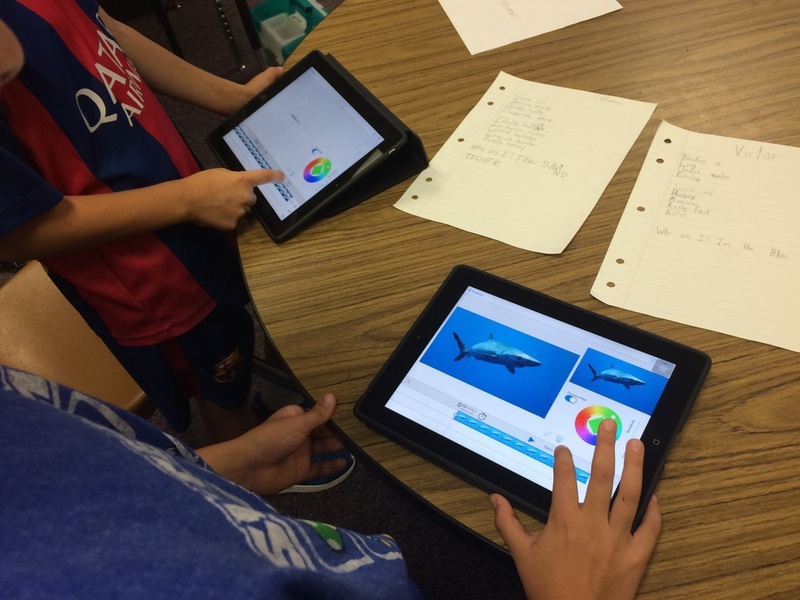 Mrs. Johnson's 3rd graders used Greenscreen by Do Ink on their iPads, to create and share their recent learning about sharks. Click this link for the rest of the story. 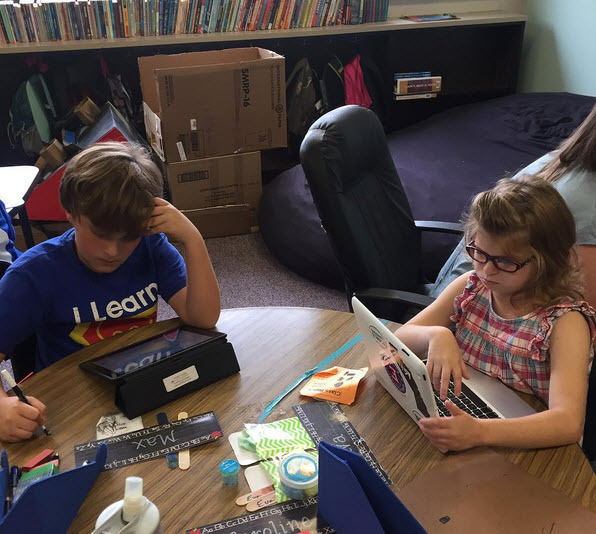 Judy Hurst and Janna Guera wasted no time in providing their brand-new second graders an opportunity to be creative using their iPads for the first time in second grade. They created Pic Collages introducing themselves. 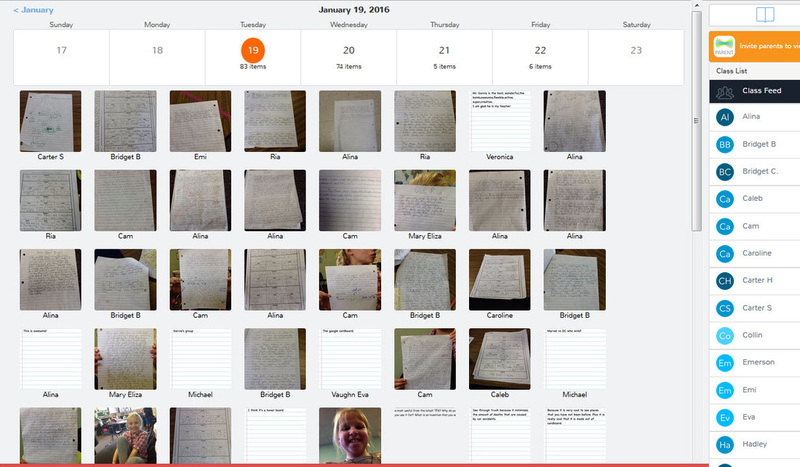 Both Teachers asked parents to email a handful of photos of their child to his or her gmail account. We demonstrated saving the photos to their camera roll on their iPads. Then we had them download and open the free Pic Collage for Kids app. 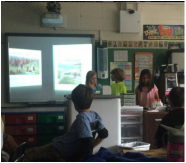 It didn't take long for students to figure out how to bring in the photos, position them, and add captions and backgrounds. 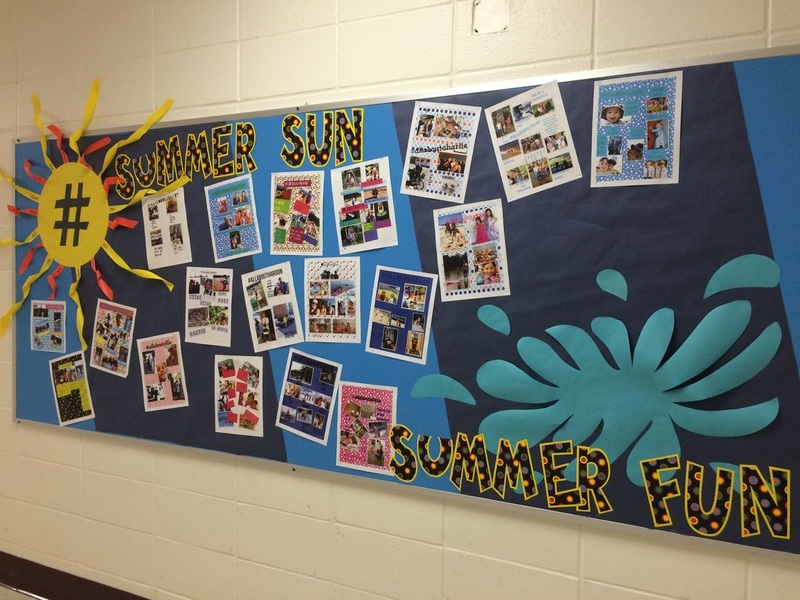 Students emailed their finished pic collage to their teachers who printed them out and displayed them on bright bulletin boards in the hall. 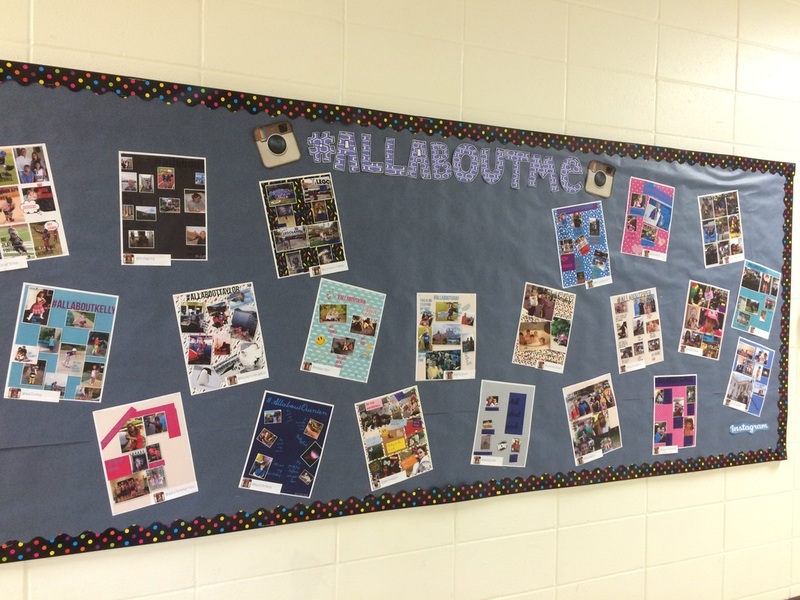 Want to start using PicCollage for Kids? 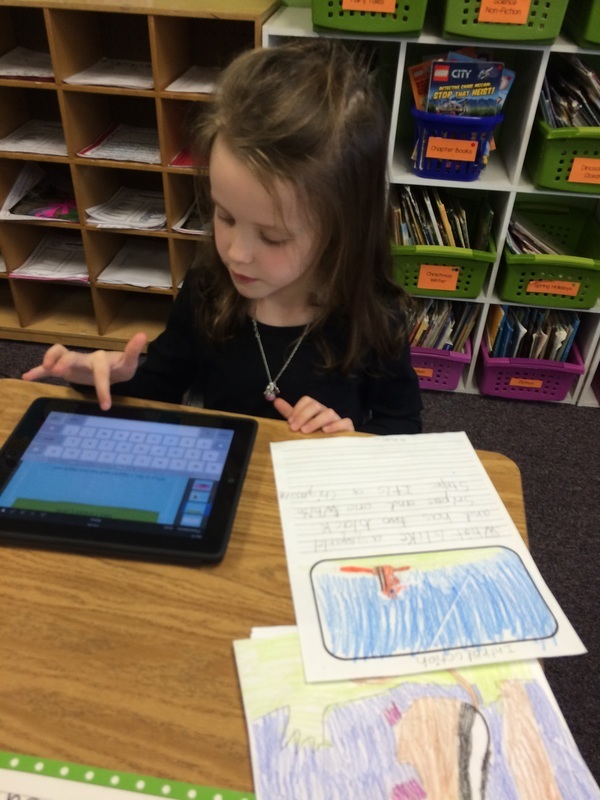 When 2nd Grade Teacher Janeen Bailey asked her students to look for the Epic App on their iPads, they cheered!! 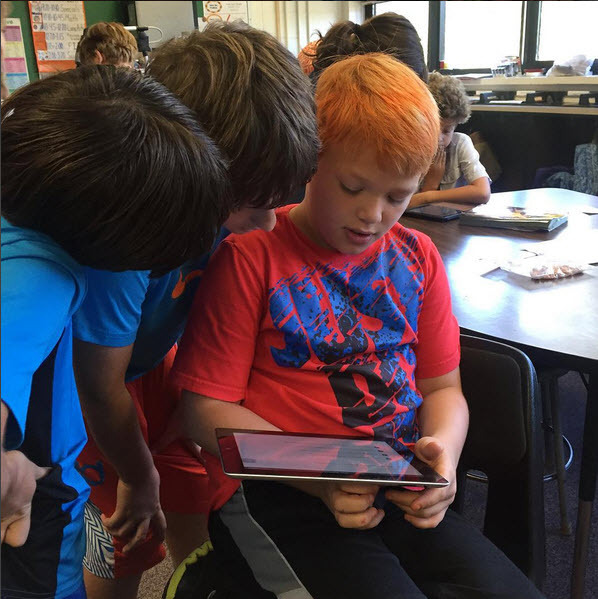 We were a bit surprised, because we thought we were downloading this app and introducing Epic Readers for the first time to them. Not So...their 1st grade teachers had them already in love with reading on their iPads using Epic Readers. 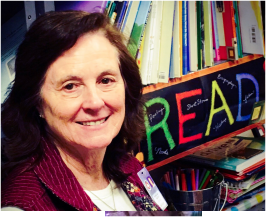 Mrs. Bailey had set up her class and enrolled all of her students; all that was left was to add her as an educator to their profile and they were off and reading. They were enjoying this so much that Mrs. Bailey recognized a teachable moment when she saw it. 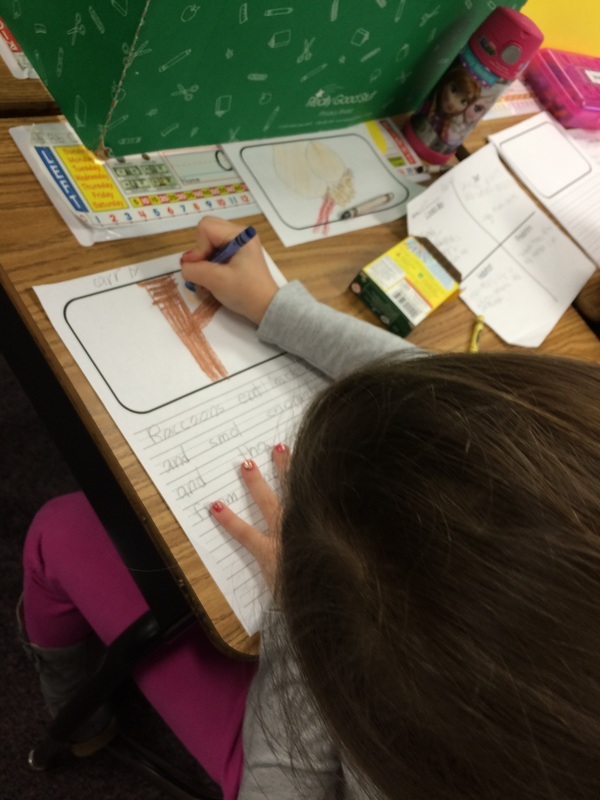 Towards the end of their reading time, she provided a connected writing activity. She provided them with a starting sentence, then encouraged them to illustrate and write all about what they had read. She may be creating Epic writers, also! Hi, I'm Margie Brown, an Educational Technologist at Forest Trail Elementary School in Eanes ISD. 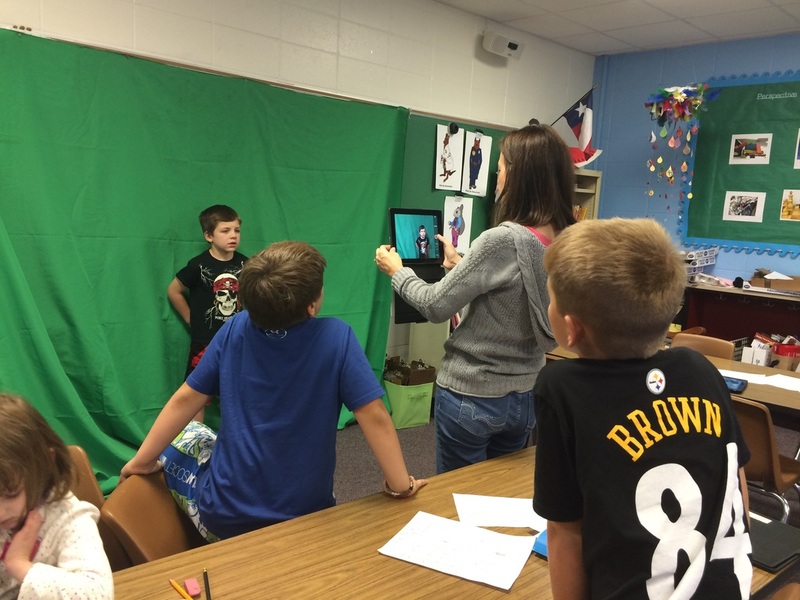 I love working with students and teachers and discovering new digital tips and tricks everyday!